Pioneers in the industry, we offer v groove pulley, cast iron pulleys, v belt pulley, industrial v belt pulley, pulley casting and cast iron pulley from India. We are a prominent organization that is engaged in manufacturing, supplying and trading a vast range of V Groove Pulley. These products are manufactured under the close supervision of our experienced professionals using the high-quality material. The offered range of pulleys is configured with tamper bush so as to reduce the friction level. 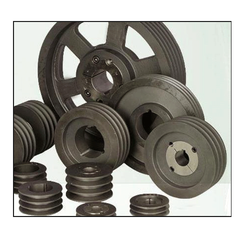 We are an enterprise involved in the manufacturing of Cast Iron Pulleys¿¿of the highest grade for this industry. 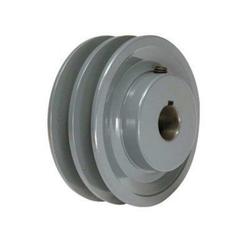 Known for reliability and solution oriented nature these pulleys are greatly useful for a number of industries. We manufacture these products using the latest production technology. In addition, we employ top grade raw material and intense quality testing practices for our products. This enables us to provide products with the maximum utility to our customers. Owing to rich industrial experienced, we are involved in manufacturing and supplying best quality of V Belt Pulley. 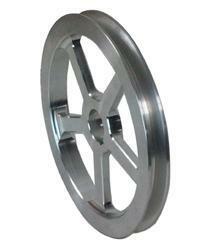 This V Belt Pulley is available in the market in wide range at affordable rates. The offered V Belt Pulley is appreciated for its high strength. We deliver our assignments using proper packaging standards. In order to meet the huge market demands, we are involved in manufacturing and supplying best quality of Taper Lock V Belt Pulley. This Taper Lock V Belt Pulley is durable in nature. Available in various designs and capacities, this Taper Lock V Belt Pulley can also be customized as per the specifications detailed by the clients. Leveraging on the skills of our professionals, we are involved in manufacturing and supplying best quality of Industrial V Belt Pulley. This Industrial V Belt Pulley is known for its hassle free performance. Our organization is committed for the time bound delivery of our assignments. 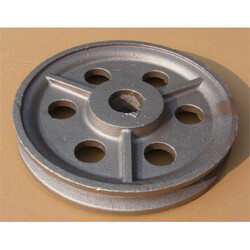 We are leading supplier of Pulley Casting. Client can avail this item from us at a reasonable rate. 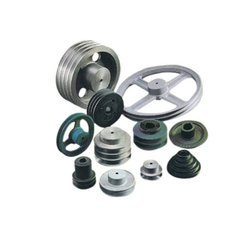 Our organization is a well-known maker of Cast Iron Pulley of a distinctive segment. 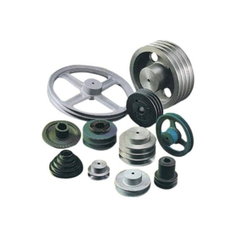 These Cast Iron Pulleys are utilized as a part of oil expeller furthermore in the designing businesses. Our Cast Iron Pulley are produced using Graded Cast Iron. Accessible in distinctive sizes and areas, our Cast Iron Pulley are well known for their amazing and toughness.